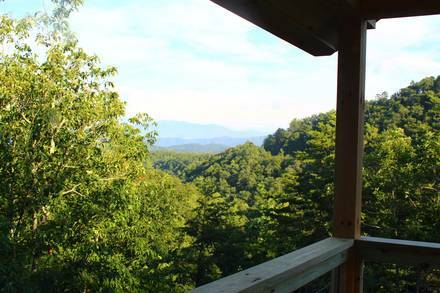 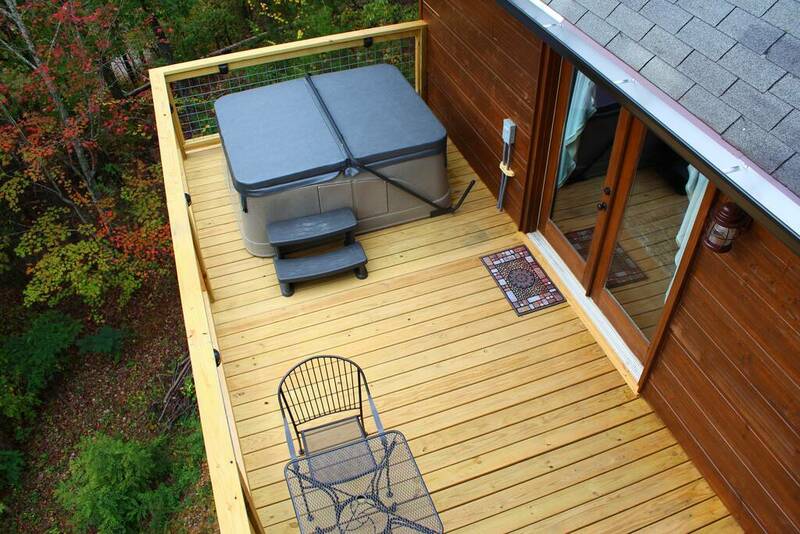 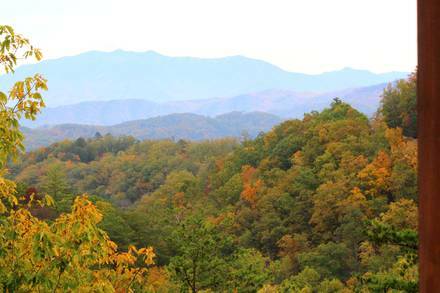 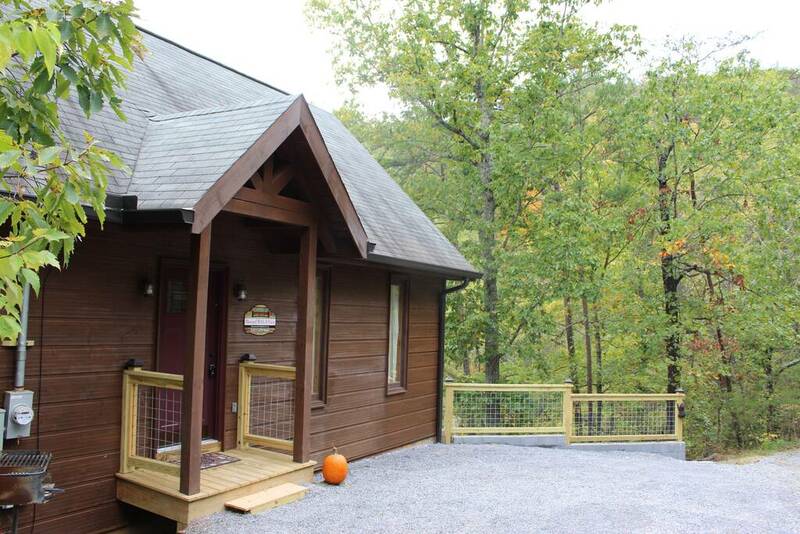 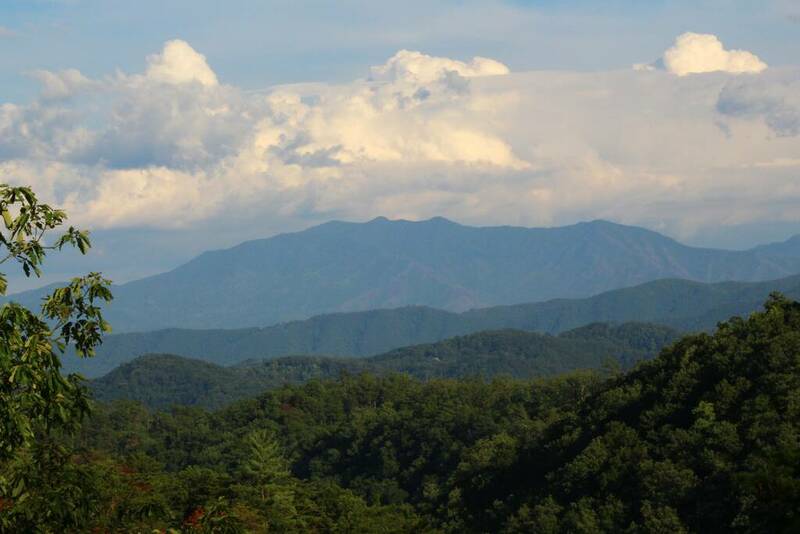 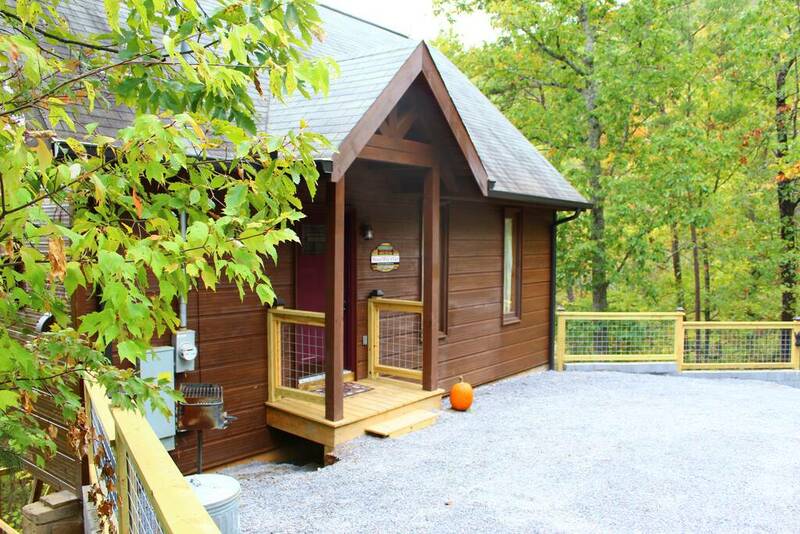 This newly remodeled 1-bedroom, 1-bath cabin in Pigeon Forge truly is Blessed With A View! Plan your honeymoon or romantic getaway to this lovely spot, or just come for the peace and quiet. 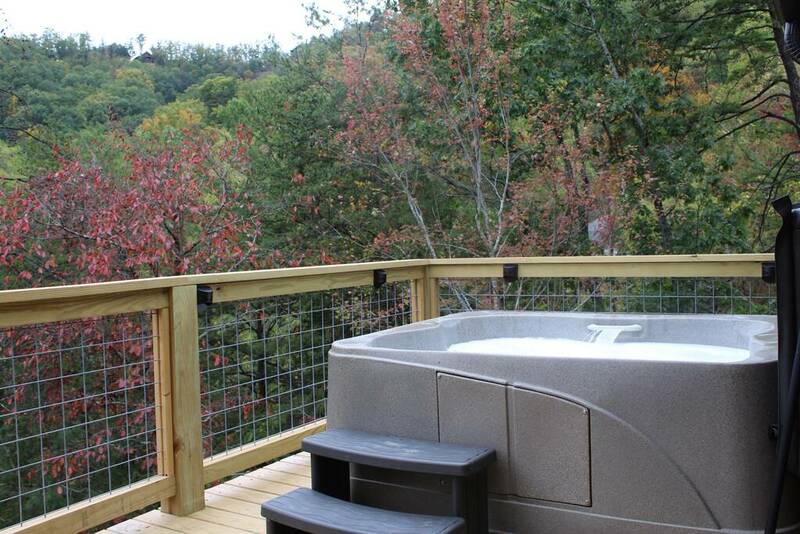 Enjoy range after range of the Smokies from either of the back porches; ease those aching muscles in the jacuzzi or hot tub; and sleep in late in total comfort. A charming highlight of “Blessed with a View” is its outside spaces. 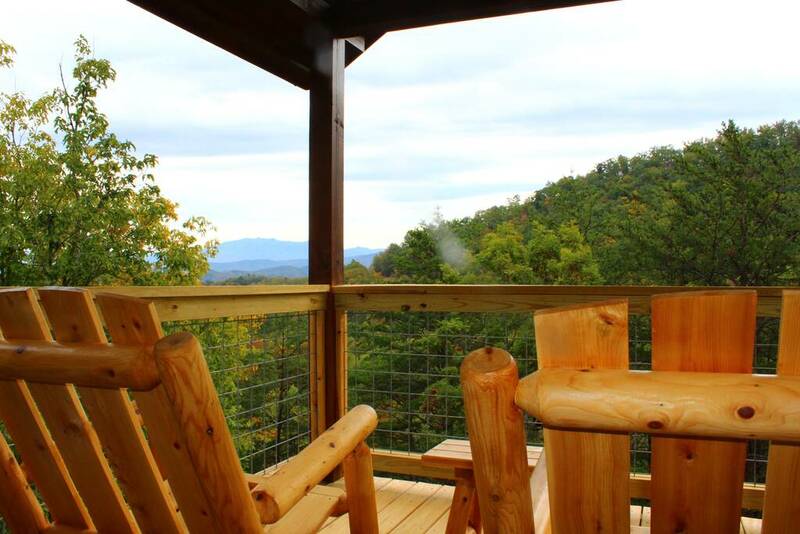 Take a hot drink and relax on comfortable, rustic log furniture located on the covered upper porch or turn on the bubbles in the hot tub below. Either way, it will be easy to drink in the scenery! 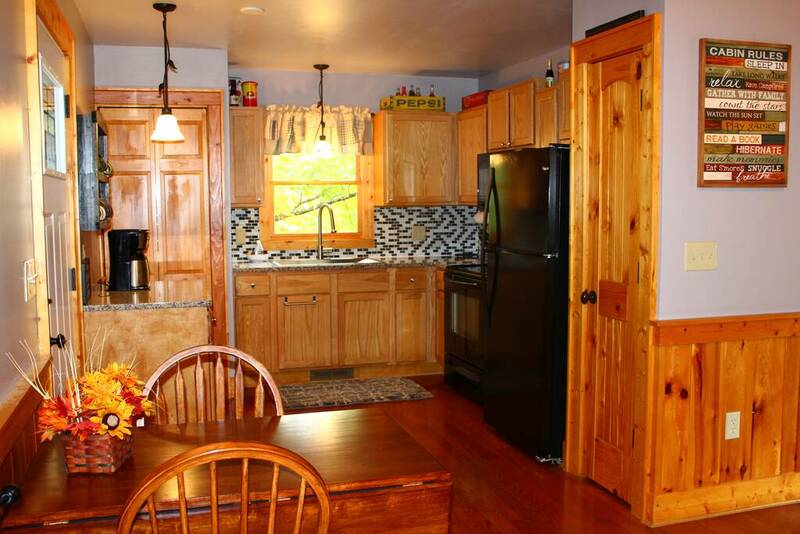 Inside, the modern kitchen is all new, with upgraded appliances and a large stainless steel sink set against a stylish black-and-white tile backsplash. The living room has a large flat-screen television mounted above its electric fireplace, with a comfy black leather couch and chair nearby. 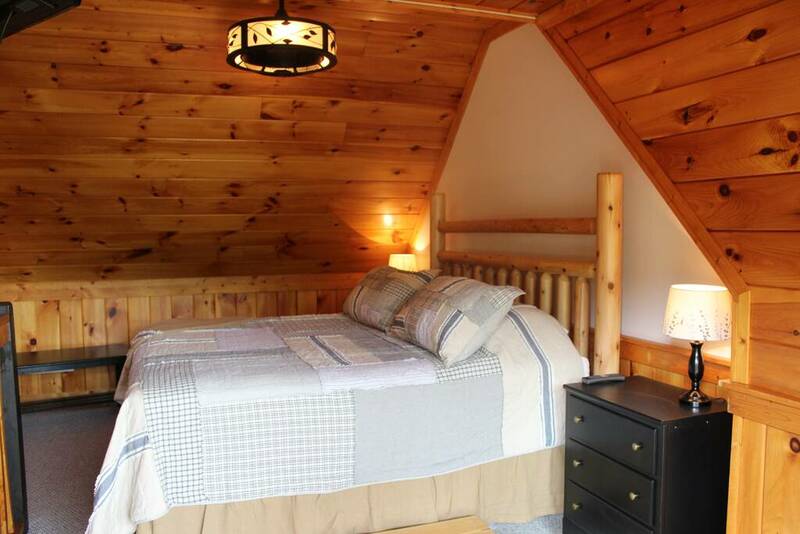 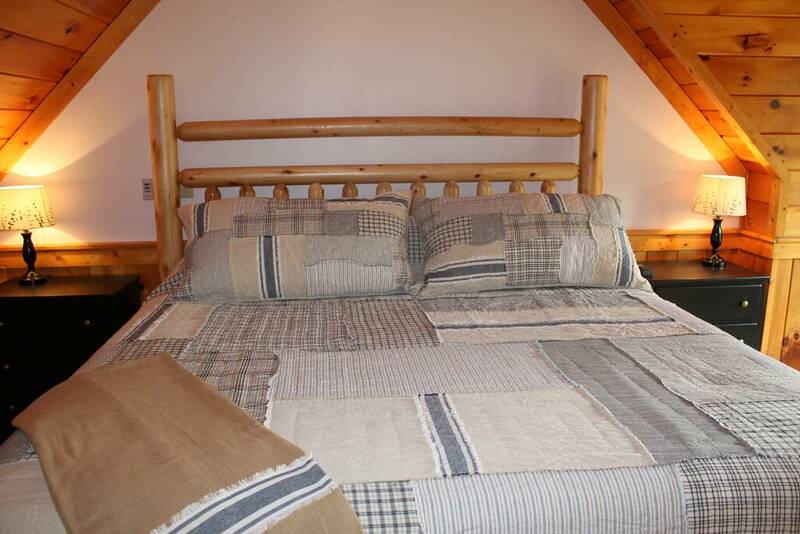 Relax in your log-frame king-sized bed or enjoy the jacuzzi. 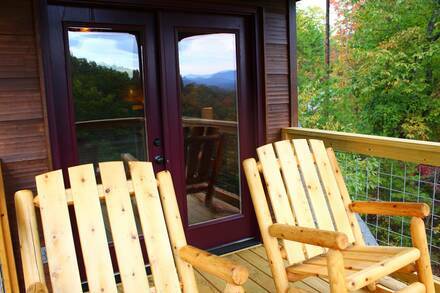 There is even a pool table and arcade game system if you want to take a break from looking at the mountain vista! Enjoy free Wi-Fi in the cabin, as well. 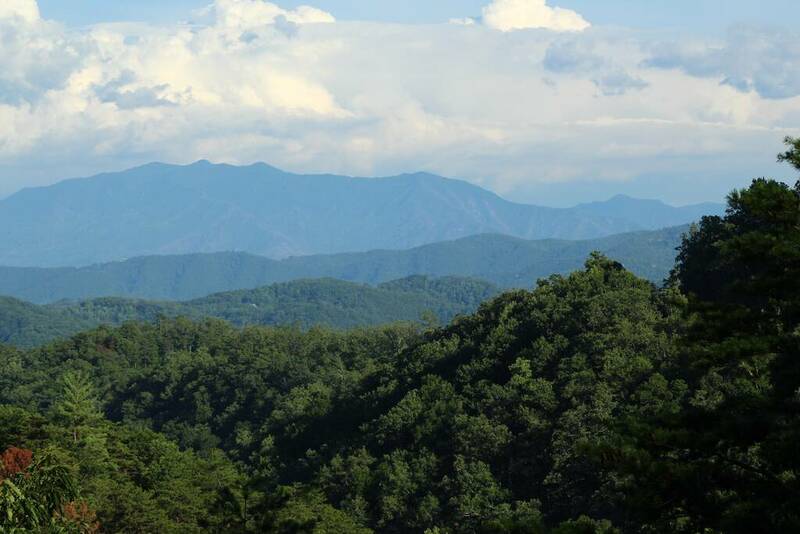 Another advantage is your proximity to the attractions in Pigeon Forge, making it easy to plan a fun day out among the many area attractions, amusements, and restaurants. 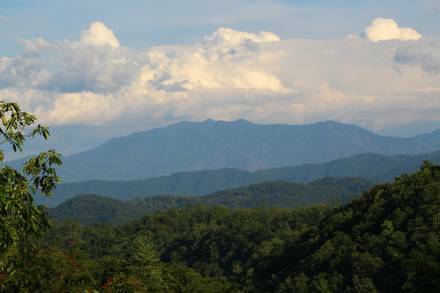 Even the Great Smoky Mountains National Park is within short (and beautiful) driving distance. Plus, we offer a free pancake breakfast for every guest, so reserve online or give us a call today.